Any Energy Healing Session can be received in person or from another location. Linda published "Rays of Light" ~ Listen To The Dark in 2014. The book explains the “Rays of Light” in more detail and specifically describes how anyone can easily access the frequencies of the “Rays of Light” and the Earth energies. Meditations and detailed instructions for sessions are included in the chapters. The book is available for purchase through Linda locally in the Cleveland area by contacting Linda at 440-360-7854 or by email at lindastreet@healingfromyourheart.com. The cost is $25.00 plus tax. The "Rays of Light" consist of the infinite Rays of the Divine and the Etheric Beings associated with each Ray. Each Ray is a different color and frequency and provides unique benefits. The purpose of this healing modality is to support spiritual enlightenment. Anyone can easily access the “Rays of Light.” In each “Rays of Light” healing session, the energies of Mother Earth and the Rays are accessed for all 13 of the primary chakras to be cleansed, balanced, and re-aligned, which include the 8 primary body chakras, 3 primary chakras above the head, and 2 primary chakras below the feet. The "Rays of Light" and Earth energies bring harmony and balance on all levels (in the physical and the non-physical), intuitive guidance, and information. This brings elevation and deepens one’s connection to the Divine, to Mother Earth, and to “all that is,” supporting spiritual enlightenment and allowing for past patterns that feel heavy and burdensome, to be replaced with new patterns that feel loving and supportive. The Etheric Beings and the frequencies of the Rays will assist and support you each time the Rays are accessed, and after a session, as long as you are actively setting intentions and taking action steps with a positive and uplifting approach. A positive focus is critical in your words, thoughts, and actions to support this enlightenment and upward movement. This session includes cleansing your aura and accessing the frequencies of the "Rays of Light" and the Earth energies to cleanse, heal, balance and re-align your 13 primary chakras, sealing you in protective and healing frequencies and energies. You can include a special intention at the start of the session. All etheric cords (invisible cords) that you may have attached to persons, objects, or situations will be dissolved with love. You will be infused with general healing frequencies of the Rays and Earth energies on all levels, in the physical and the non-physical. Intuitive messages with guidance will be shared. This session includes discussion and coaching, with positive intentions discussed and suggested to assist you with what it is you wish to attract and create. This session is a chakra tune-up without the coaching and additional guidance. This tune-up session is recommended any time after receiving a full Energy Healing Session with the coaching. This session includes cleansing your aura and accessing the frequencies of the "Rays of Light" and the Earth energies to cleanse, heal, balance and re-align your 13 primary chakras, sealing you in protective and healing frequencies and energies. You can include a special intention at the start of the session. All etheric cords (invisible cords) that you may have attached to persons, objects, or situations will be dissolved with love. You will be infused with general healing frequencies of the Rays and Earth energies on all levels, in the physical and the non-physical. Short intuitive messages will be shared and positive intentions suggested to assist you with what it is you wish to attract and create. This is "Rays of Light" Healing and Chakra Balancing Session or Chakra Balancing Session that can be received by a recipient from any location. You need not be present. These sessions are generally completed while the recipient is on the phone. This session provides coaching and/or consultation to assist in individual with their spiritual enlightenment and growth. Educating and teaching how to let go of emotions and patterns that do not feel good while choosing emotions and patterns that do feel good. Teaching about the "Rays of Light" and about energy and "how it works" and coaching and teaching how to use and develop one's gifts to improve well-being. This session provides coaching/consulting to assist and individual with their business development through spiritual enlightenment and growth. Educating and consulting on how to let go of emotions and patterns that do not feel good while choosing emotions and patterns that do feel good. This includes consulting in the area of management and employees and in building and supporting a company and its environment. Teaching about the "Rays of Light" and energy and "how it works" while coaching and teaching how to use ones' gifts and improving well-being. These teachings will be related to a business setting and environment to include the well-being of employees. 60 to 90 minutes depending on audience. Please call for more details. Does your heart feel heavy when you wish for lightheartedness? Are you feeling sad when you desire to feel joy again. Learn how you can heal yourself from the inside out. You can truly create your own day and your own experiences to bring about your heart's desires. We can work together to identify and begin creating your very own positive intentions. Come learn how you can heal yourself from that magical place we call "Heart Center". Linda Street presents information and teachings about the 13 “Rays of Light,” how you can access and use the Rays at any time, and a brief overview of your 13 primary chakras, including your 8 primary body chakras. You do not need a certification or a class to access and to use the “Rays of Light,” you need only to understand how they work. 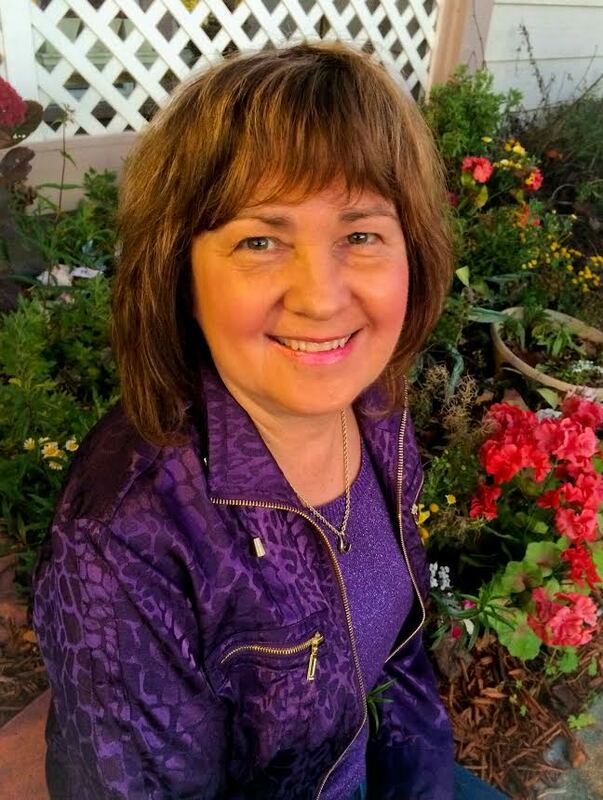 Linda will share information and teachings from the book about the “Rays of Light,” about how they work, how the Rays can be accessed to receive guidance and information, for special intentions, for meditation, for general healing purpose, and to cleanse, heal, balance, and re-align your chakras. The frequencies of the “Rays of Light” will be shared with all participants during this presentation. 60 - 90 minutes depending on the audience. Please call for more details. Participate in a discussion where information is shared about meditation and what it truly means to meditate. You may be surprised. Or you may choose to just listen, relax, and experience. We have heard this word "meditation" for many years. What is the definition and what does it truly mean? Experience a simple meditation while you enjoy the benefits, the peace and calm, tranquility, serenity, vibration of love, inspiration, and guidance. You decide! The frequencies of the “Rays of Light” and the beautiful energies of the Angels will be shared as well as the beings of Nature assisting each person in “lightening up” during this presentation. Nature Sticks will be used by each participant in a short meditation to assist and support your growth, as you "let go" and release the old, always with the vibration of love, allowing room for new and uplifting emotions. Most of us genuinely have the desire to “let go” of what does not feel good to us. Letting go is a process that takes understanding and practice. It can be accomplished. Linda Street will be sharing information from personal experiences, about these processes and methods to assist in letting go, allowing a greater experience of light-heartedness and joy. She will be explaining from the perspective of “energy” and how it works. There will be a guided meditation to experience the healing energies. 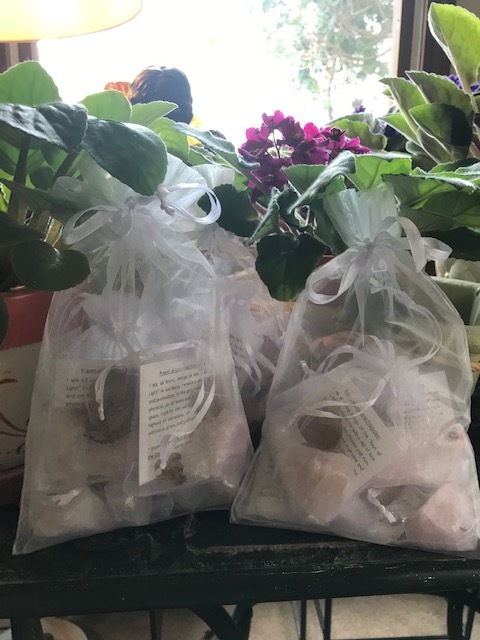 The purpose and use of Divine Bundles is to assist in cleansing and clearing while infusing Divine healing frequencies and energies within a designated house, space, structure, land and/or property. Divine Bundles are placed in the corners of the designated space or property. Each Divine Bundle holds the intentions of 6 Advanced Divine Healing Mediations specifically intended to focus on the house, space, structure, land and/or property and all that is within the designated space and the Divine Bundles. There are also crystals, other elements of nature and Divine intentions within each Divine Bundle. The six Advanced Divine Healing Meditations are very comprehensive, calling on all of the Divine, holding and working only in Divine light and Love, from this planet, Universe and beyond, to include all loving beings of the “Rays of Light,” Angels and Archangels, Masters and Ascended Masters, the Pleiadian Archangelic League of Light, the Sirian Archangelic League of Light, all of the Divine within and around Nature to include the Nature Beings and Nature Spirit Essence. Also Included is a Divine Bridge and Boundary, a Divine Healing Vortex and deep cleansing, clearing and healing intentions with the assistance of all of the Divine. Divine Space Clearing Bundles are intended to cleanse and clear a designated house, space, structure, land and/or property and are not intended to work on the person(s) within the space or structure. Each person within the space will enjoy the benefits of a very clean and comfortable space; however, each individual will need to take accountability for their own personal energy work, spiritual enlightenment and spiritual growth, while being supported by a very clean, healthy and balanced space. Some of the benefits of a clean space may be greater intuition, more clarity of mind, receiving more guidance and information to assist with one’s spiritual enlightenment and growth, and greater awareness of one’s spiritual guides and the nudges and recommendations that are being provided and a wonderful sense of peace and calm. And of course, there is the benefit of not being effected by the energy of an earthbound spirit or ghost, uncomfortable entities that have entered the space or all of the old residual energy that has accumulated over time within a particular structure or property. All of this, and more, is continuously being cleansed, cleared and healed within the designated space or structure. The intentions within the Divine Bundles will release and reject etheric cords attached or intended toward the designated house, space, structure, land and/or property. This will not prevent or release personal etheric cords connected to a person or intended toward a person within the space. There are additional meditations and prayers that can be used to assist a person in this area which involves spiritual growth and enlightenment and the person’s overall vibration attracting their personal experience. Once the Divine Bundles are placed the intentions and the benefit is ongoing. It is recommended that the contents not be removed them from the Divine Bundle (the bag) as each Divine Bundle and its contents have been Divinely activated. The Divine Bundles themselves can be removed and placed in a new location at any time. It is recommended that with each new placement the instructions and intentions be repeated. 1. A white sage leaf available through the pure and Divine energies of Mother Earth. This represents the physical cleansing and clearing of all that is less than Divine Light and Love that sage and all the other plants of the like have to offer. 2. A dried flower petal available through the pure and Divine energies of Mother Earth. This represents the physical infusion of the beautiful high vibrating energies of Divine Love that each flower petal has to offer. 3. 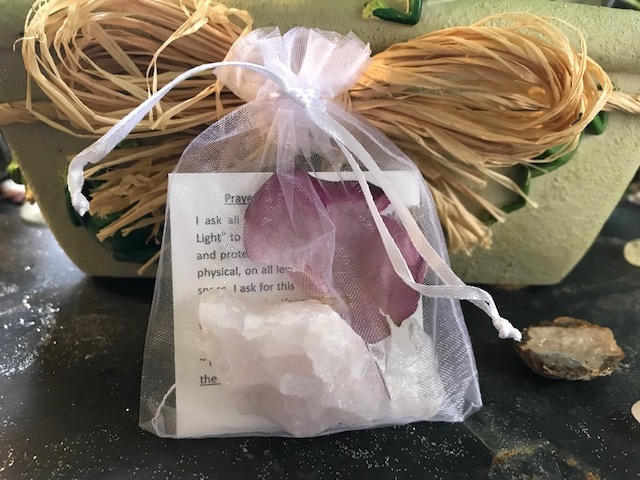 A rose quartz crystal available through the pure and Divine energies of Mother Earth. This represents Divine Love, in the non-physical that is truly pure and infinite. 4. A clear quartz crystal available through the pure and Divine energies of Mother Earth. This amplifies the Divine Love, in the non-physical that is truly pure and infinite. 5. The “Prayer for Love and Protection” and its vibrations and intentions to ensure a connection to a true Divine Source at all times. This connection is for the intended space and /or structure and not for the person. This connection assists and supports all of the intentions in the highest and purist of realms. 6. The vibrations and intentions of six Advanced Divine Healing Meditations. NATURE ESSENCES begin with purified water and can include any Divine essences available in and of nature such as light essence, flower essence, plant essence, rain, and crystal essence. They are also infused with the vibrations of the “Rays of Light” and other high vibrating emotions of love channeled in through and from the Earth and the Universe. Assistance is received from the Nature Beings, Nature Essences, the Angelic realms and the realms of the Ascended Masters, all of the Divine. NATURE ESSENCES can support and enhance the chakras, the energy systems, or the overall balance of energies and frequencies affecting one’s emotional, mental, spiritual and physical state. They are not intended as a substitute for personal positive intentions, prayers, spiritual growth and enlightenment or any other energy work or medical needs being presented to a person. The first essence offered by Linda is The Essence of Balance. 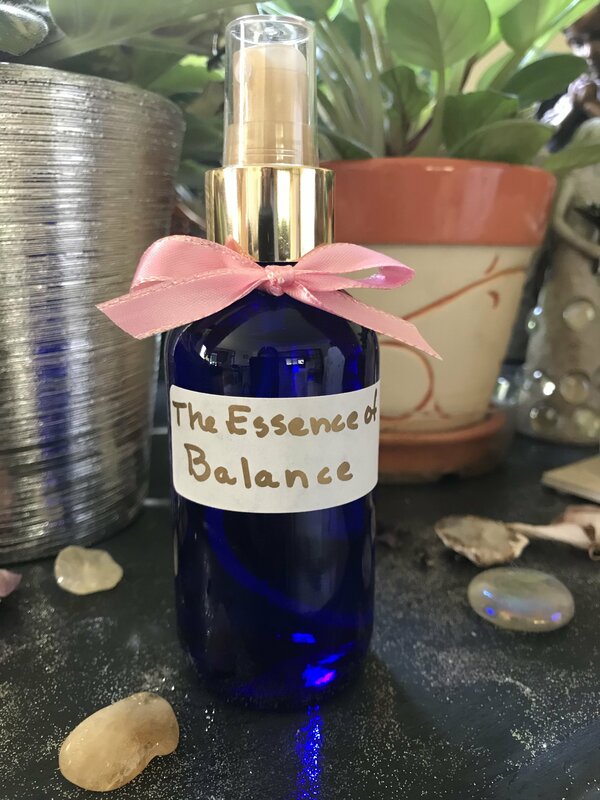 This essence is the balance of Nature and assists with a general balancing of the chakras, bringing one into their heart center, to begin a meditation, to ask for guidance or information or prior to choosing any prayer or positive intention. The heart center is one’s connection to the soul, which is one’s connection to the Divine and to “all that is, and one will always feel calm and peaceful when connected to a true Divine source. The effects are temporary and are intended to support one’s continued work on spiritual growth and enlightenment as one works toward “quickening” their own personal vibration of love. This NATUREESSENCE is spritzed 3 times over your Crown when you feel “out of balance", "out of sorts”, or wish for assistance in connecting with the true Divine, through your soul connection, to experience peace and calm. You can also spritz 1 time over a particular chakra if you are experiencing discomfort in a particular chakra area. Nature Sticks allow you to connect with your own Divine essence to release and "let go" of old limiting patterns that weigh you down and block your spiritual growth. This opens you to now attract everything that feels good and wonderful, supporting spiritual growth and enlightenment. Nature Sticks can be used for meditations, releasing old patterns and emotions, connecting to your higher self for information and guidance, and for bringing in peaceful and calming frequencies and energies when you need or desire them. When the Nature Sticks are activated, the Angels and the Nature Beings step in to assist you in connecting with our own Divine essence allowing you to “lighten up” as you let go of the old and bring in the new. Etheric beings of the Divine, such as Nature Beings and Angelic Beings, choose to step in with these Nature Sticks and assist you with whatever it is that you wish to release at that time, allowing you to manifest something new and uplifting. Nature Beings assist by choice and have unique and beautiful gifts to share with each individual person, for each unique situation and opportunity for growth. A Nature Stick can also be viewed as a Magic Wand and can be very specific to a person. You are magically drawn by these beautiful Beings and to the Nature Stick that is perfect for you and your personal desires at that time. Please see details on the "Workshops" tab. Please call Linda at 440-360-7854 for details about products or services.